Scott Maloney is an executive and multiple division leader with experience in Fortune 500 companies and $1B+ startups. He is currently the Senior Partner and Founder of Crain & Company, a global consulting firm. He’s worked as the CEO and Co-Founder of Seed Worthy, a technology platform for developers that amassed users around the world. Prior to that he was VP of Strategy and Operations for @Pay, a mobile payment startup where he led the @Pay Product, Production, and Creative teams, and provided direct leadership for all strategic initiatives. Before that, Scott was the Senior Operations and Strategy Manager for LivingSocial, where he was responsible for leadership of several operational and strategic teams, and he was a key driver of growth for one of the company’s fastest growing divisions. LivingSocial was acquired for a publicly undisclosed amount. Scott ran R&D finance and planning for Human Genome Sciences prior to their acquisition by GlaxoSmithKline for $3.5B. Throughout his career Scott has successfully raised large investment rounds from Angels, VCs, and funds. In his free time, he enjoys travel, amazing food, and practicing martial arts as a holder of black belts in multiple styles. Mr. Shin is a Moore Fellow and an Inc. 500 award winning executive, who possesses continuous intellectual curiosity in the intersections of business, creativity, technology, and digital, with over twenty years of well-rounded and seasoned leadership of complex initiatives working with many diverse teams across several industries. He is currently a Co-Founder for Content of Characters, Board Member for Dosha Pops, Co-Founder for In The Lights PR; consults, mentors, and advises other startups and SME's; and has held senior leadership positions that demand: corporate governance, executive management, entrepreneurship, intrapreneurship, program management, business transformation, product development, new product / service launches, business development, strategic positioning, technology management and enterprise risk management. His success is largely driven from his passion in understanding internal and external customers’ points of view, lines of businesses, and requirements in support of their goals and needs, which has resulted in millions of dollars of year-over-year realizations of benefits from business and technological innovations. Lauren Burke is an award winning social entrepreneur, a national public speaker, an immigration attorney, and a lover of Broadway musicals. She is currently a consultant at The Possible LAB with a specialty in non profit fundraising and running retreats, and is the CEO and co-founder of Notehouse, software for everyone who takes notes on humans. She is the founder and former Executive Director of Atlas: DIY, Developing Immigrant Youth, which she grew from coffee shop meetings to a million dollar organization serving hundreds of youth a month in under five years. Lauren spent 2017 living in a Campervan and driving more than 19,000 miles around the U.S. offering free services to immigrant communities in resource-poor areas. Lauren has been named an Echoing Green Fellow, a Skadden Fellow, a Forbes 30 Under 30 recipient, and has been honored by the Brooklyn DA’s office for her work combating child trafficking. 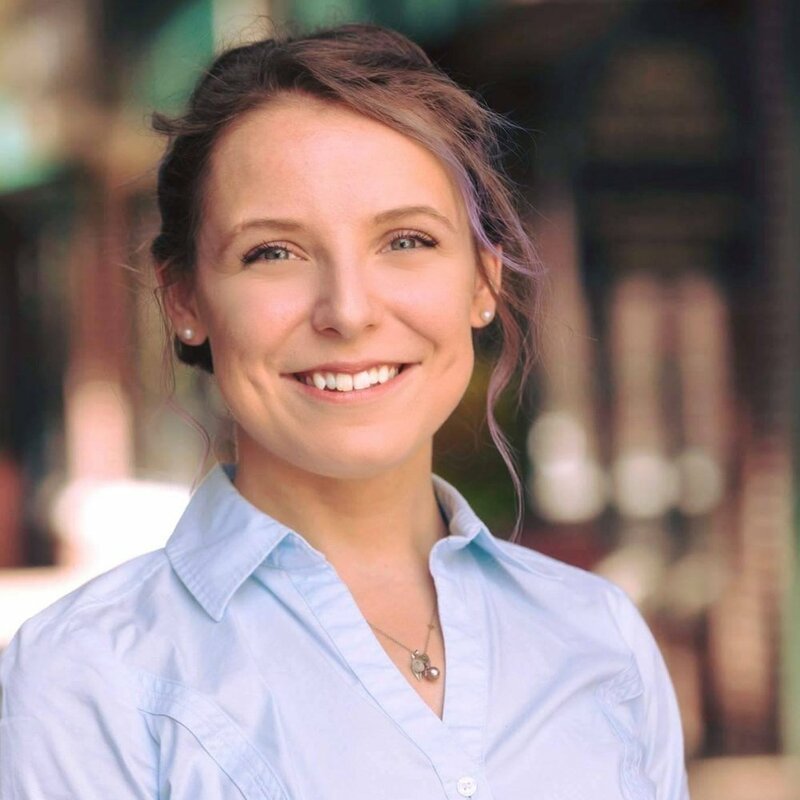 After 12 years in NYC Lauren now lives in Western Mass where she supports social change makers across the globe through her consulting agency, The Possible LAB, and is soon to be launching her software startup, Notehouse! 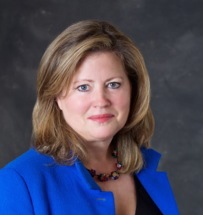 Ms. Busby is President of Cresco Advisors where she serves as a venture partner to fund managers as well as a business advisor to portfolio companies. She currently works with several technology businesses operating at the intersection of artificial intelligence and healthcare as well as life science tools companies. She is a co-founder of Life Science Vendor Expo, a conference series providing entrepreneurs with educational workshops that address some of their operating challenges. She has over two decades of experience in VC and was “one of the 6%,” referring to the exclusive group of female investment professionals. She was a Partner at NGN Capital, a transatlantic, healthcare fund where she invested in healthcare IT companies and participated in deals in the therapeutics and medical device sectors. She is a Chartered Financial Analyst and also earned an M.B.A. from Columbia University as a McCain Scholar and a B.S. from Central Connecticut State University. Kate Putnam has experience as a CEO and board member for five companies and several non-profits of various sizes and stages of growth. Currently she is an angel investor with Golden Seeds, a mentor at MIT’s Venture Mentoring Service, MassChallenge Boston and MassChallenge HealthTech, Martha’s Vineyard Mentoring and Valley Venture Mentors. She has been a judge for pitch contests and accelerators. She serves on the advisory boards of several startups. She has taught small businesses about planning for growth and infrastructure. Her industry experience includes, finance, healthcare, machinery manufacturing, and insurance but she has worked with companies in B2C as well as B2B. She has an BA in history from Mount Holyoke College and an MBA in finance from the Stern School at New York University as well as certificates from the Center for Creative Leadership, Kennedy School at Harvard and the Kellogg School at Northwestern.Kate lives in Massachusetts with her husband. She enjoys kayaking, sailing, travel, tennis and gardening. Malcolm Howard is the Co-Founder and CTO for ProjectMQ, an online independent video game discovery service. He’s responsible for leading the company’s software development, systems design/maintenance, and project management. Malcolm has a Bachelor’s Degree in Computer Science from Georgia Southern University, and has been writing software for 10 years. Over his professional career, Malcolm has worked with multiple technology startups in various leadership capacities, and previously served as the Director of Software Development for Morris Technology. In his remaining spare time, he tinkers with Arduino/RaspberryPi circuits, designs video games, leads STEAM education workshops for local youth, and builds costumes for his next convention. Dorota helps diverse and underestimated startups take the next steps in their entrepreneurial journey by connecting them with the right resources and mentors at the right time. She’s dedicated to ensuring that startups and volunteers have an exceptional experience at VVM. She leads all aspects of VVM’s Startup Accelerator from design, through implementation and rigorous evaluation. With extensive prior experience in data management, Dorota is responsible for organization-wide integrity of data. Prior to VVM, Dorota worked in the for-profit sector and as a marketing professional. Kristin is the CEO of Valley Venture Mentors (VVM), a nonprofit offering mentorship, startup accelerators and a coworking space to build the innovation economy in Western Mass. She has ties to VVM from its earliest days when she served as a volunteer mentor, and she has a passion for entrepreneurship and its potential to change our world. Kristin has spent her career building philanthropic resources and organizational capacity in a variety of roles, raising nearly $100 million for local and global philanthropic causes. She has her M.S. in Industrial/Organizational Psychology from Springfield College, her B.A. from Colgate University and her yoga teacher certification from Kripalu. She lives in Amherst with her husband, two children, and a menagerie of pets. 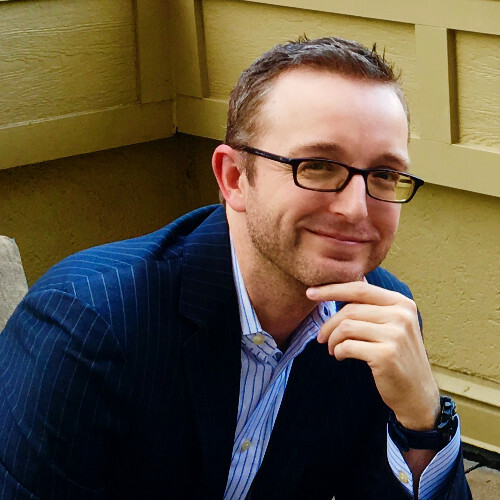 Chris Landry - Learn more from Chris, Co-Founder, OmPractice about Pitch Decks or Wellness. Bethany Martin - Schedule time with Bethany, Marketing Guru.